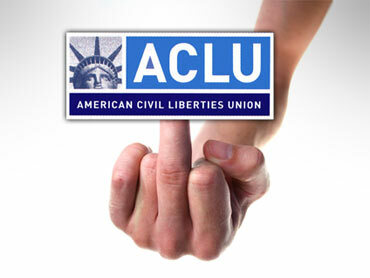 ACLU Helps Pittsburgh Man Get $50,000 After Flipping Off Cops;"Finger" Protected by First Amendment? PITTSBURGH (CBS/AP) Getting a $50,000 payment after flipping the bird at a police officer? That may sound out of hand, but if a tentative settlement approved by the Pittsburgh City Council stands, that is how much David Hackbart stands to gain after filing a free speech lawsuit against the city. Hackbart says that he was attempting to parallel park in April 2006 when he used his middle finger "to express his frustration" at a driver who pulled behind him and blocked his entry into the space. Upon hearing a voice instruct him not to "flip off" the driver, he "directed his middle finger at the person speaking," according to the lawsuit. That person turned out to be Sgt. Brian Elledge of the Pittsburgh Police Department. The American Civil Liberties Union sued saying Hackbart's gesture was constitutionally protected speech and merited a lawsuit. "Courts have interpreted this section of the statute very narrowly to bar only speech and conduct that is truly obscene and thus outside of First Amendment protection," said Sara Rose, an ACLU attorney. "The law is clear that using one's middle finger to express discontent or frustration is expressive conduct that is protected by the First Amendment." Rose said ACLU had been getting a number of complaints from Pittsburgh residents that police have be abusing their authority and "infringing on constitutionally protected speech." A federal judge postponed a September trial indefinitely at the request of attorneys on both sides. The city council gave initial approval to the settlement Tuesday, but must vote again next week to approve the payment. The settlement would also include additional police training, Rose said. If the payment goes through, Hackbart will only net $10,000 after $40,000 in attorney's fees. WHAT DO YOU THINK? Do Americans have a constitutional right to flip off police? Does Hackbart deserve $50,000 for his troubles or has the ACLU gone too far?